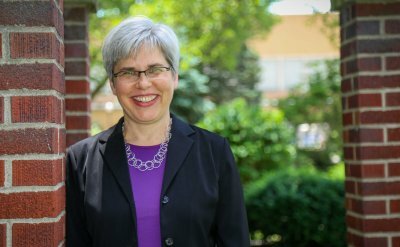 GOSHEN, Indiana – Goshen College unveiled today a comprehensive plan to better educate and prepare all students for living and learning in a multicultural society. 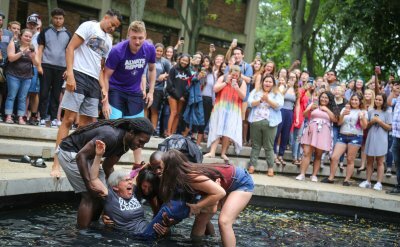 The initiative will increase access to a Goshen College education for regional Latino and other minority students by creating a welcoming and more diverse campus environment. What Goshen learns from this program will be disseminated broadly across the country for colleges and communities in similar demographic circumstances. 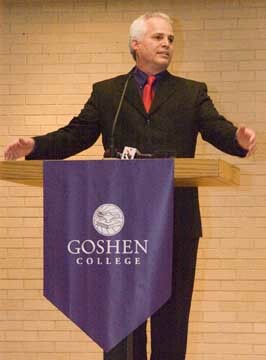 Dr. James E. Brenneman, president of Goshen College, announced creation of the Center for Intercultural Teaching and Learning at Goshen College. Lilly Endowment Inc. will fund the new center with a $12.5 million grant – the largest single grant Goshen College has ever received – which will focus on three areas: researching the resources and challenges that changing demographics bring to a rural Midwest community and to higher education, creating an intercultural learning environment to benefit all students and strengthening current efforts in recruiting and retaining regional Latino and other minority students. The new center will build on the college’s historic academic strengths, core values and its experience in international education and extend these more intentionally to the increasingly diverse local community and the world of higher education. The Endowment offered Goshen College the opportunity to dream about a truly transformative program for their campus. 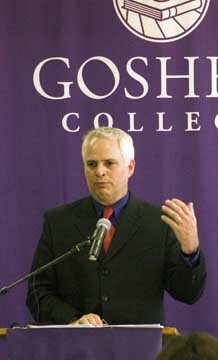 Goshen College suggested to the Endowment this visionary plan of creating a center that addresses the needs of the college, the community and higher education. 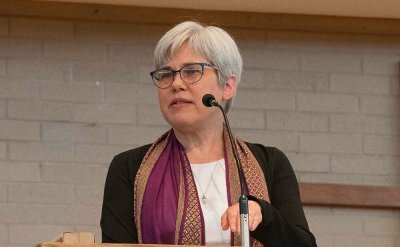 The program is a faith response of an educational institution whose roots are firmly planted in the Christian tradition, which calls for welcoming newcomers in their midst. Minority enrollment in Northern Indiana schools has grown dramatically. For example, in Goshen Public Schools it has grown fivefold – from 8 percent to 41 percent – since 1990. Statewide, research shows (National Center for Education Statistics) minority enrollment in Indiana’s public schools has grown almost 9 percent in that same period. But minority enrollment in Indiana’s colleges has increased only 2 percent during the same time. Latinos and other minorities have been drawn to areas such as Northern Indiana by increased employment opportunities in industry and agriculture. Other Midwest communities with small liberal arts colleges have large and growing Latino populations. Plans call for the new center to be created early next year and include hiring a staff, establishing scholarships, recruiting a minority cohort for enrollment in the fall of 2007, providing cultural programming for the campus, addressing student support services, reaching into the local Latino community and offering opportunities for current faculty to learn Spanish. Other possibilities include collaborative faculty-student research, a “bridge” program to assist minority students in preparation for college, partnerships with other colleges and universities and the local public schools, recruitment of Latino and other minority faculty and assessment of the college’s academic curriculum. As part of its commitment to educational excellence, Goshen College launched in 1968 a pioneer study abroad program called Study-Service Term (SST). Since then, this program has transformed the college’s educational curriculum, the campus culture and the lives of its students and alumni. Through SST, about 80 percent of Goshen students spend a semester abroad in a developing nation immersing themselves in the country’s language and culture, and performing volunteer service. Goshen was one of the first colleges in the nation to require an international education component in its curriculum, and it is the college’s experience with this program that is the foundation for the new center. “Given recent trends in regional demographic cultural growth, bringing the institutional vision of global citizenship closer to home makes sense at this time,” said President Brenneman.